Austin: Defending champion Lewis Hamilton powered to pole position for the United States Grand Prix when he out-paced Mercedes team-mate and championship leader st with a blistering lap in Saturday’s tense qualifying session. 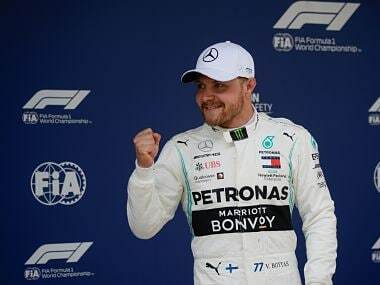 The 31-year-old Briton dominated the action with a record best lap in one minute and 34.999 seconds –- to become the first driver to break the 1:35 barrier -– to outstrip the German by 0.216 seconds as the Silver Arrows pairing reeled off their 10th front row lockout of the year. 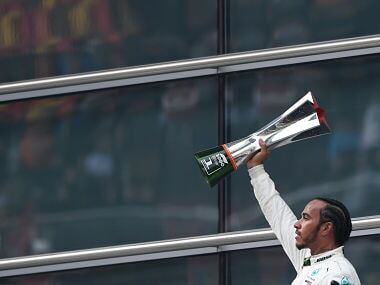 It is the 58th pole position of Hamilton’s career, but his first at the Circuit of the Americas where, despite winning three of the four previous races, he had failed to dominate qualifying. Daniel Ricciardo qualified third for Red Bull ahead of his team-mate teenager Max Verstappen with the Ferraris of Kimi Raikkonen and four-time champion Sebastian Vettel taking fifth and sixth. Renault-bound Nico Hulkenberg was seventh for Force India ahead of Valtteri Bottas and his Williams team-mate Felipe Massa and Carlos Sainz of Toro Rosso. 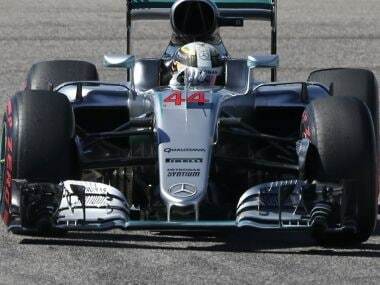 Even if he wins all four, Hamilton could be pipped to the title by Rosberg if he finishes second behind him. "I must really say thank-you to the crowd because I could hear them on my slow-down lap and that really gives me energy," said Hamilton. "This is my first pole position here and it is amazing. It has been many years of trying. "A lot of great people have tried to get me there. 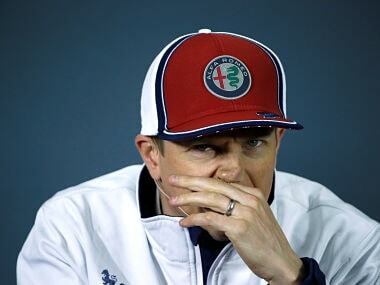 It is a good feeling for me and gives me a good chance for Sunday and I hope we can give them all a great race." 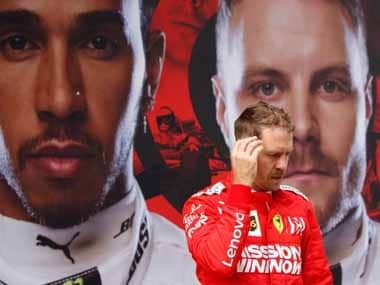 Rosberg said he had done all he could to take pole again -– he and fellow-German Vettel were the only drivers before Hamilton to have won pole in Texas -– but could not match Hamilton’s speed. On a bright, clear and blue-skied day in Texas, with a track temperature of 34 degrees Celsius, the two Mercedes men traded laps from the start to wind up clear of the pack in Q1. Their efforts kept a big crowd enthralled and engaged some interest from a busy paddock where many celebrity guests, including Hollywood actors Gerard Butler and Christophe Waltz and tennis player Venus Williams, were spotted. To the dismay of their fans, the first mini-session ended with the elimination of Romain Grosjean in his American Haas car, Kevin Magnussen of Renault, Jenson Button of McLaren-Honda, Pascal Wehrlein and his Manor team-mate Esteban Ocon along with Felipe Nasr of Sauber. Luckless 2009 world champion Button complained afterwards that he was blocked by compatriot Jolyon Palmer, of Renault, at the final corner. Out of Q2 went Sergio Perez of Force India, two-time champion Fernando Alonso of McLaren, Daniil Kvyat of Toro Rosso, Esteban Gutierrez in the second Haas car, Palmer and Marcus Ericsson of Sauber.